Gods Own Country Ayurvedic Resorts is one of the leading Yoga retreat kerala. Having a decade of experience in providing yoga therapy, at gods own country ayurvedic resorts , we analyze each individual followed by proper diagnosis and then the asanas are prescribed. 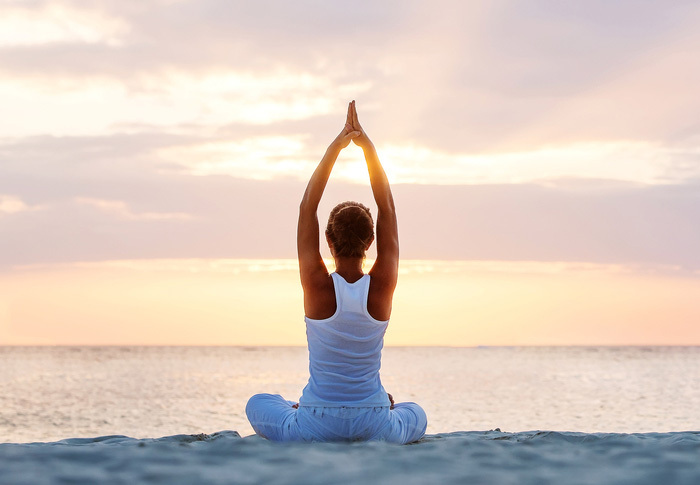 We provide the best yoga retreat in kerala that is unique to each individual and their body type(dosha), identifying the underlying factors in the ailment. Yoga therapy is Yoga Practice with the intention of curing specific ailments in the individual. Most people turn to yoga only when they have a health problem for which medical treatment could not give satisfactory results. This is valid for many chronic diseases, which often can be attenuated but not cured. Yoga views diseases as having insufficient life force (prana) or energy, either in the whole body or in a part of it. The flow of energy within the body may be blocked or obstructed in some parts.This insufficiency results in lower vitality and susceptibility to infection. The yoga therapy tries to re- establish the inner balance by various means, working from the gross to the subtle. On the physical level it uses: Yoga postures (asanas), Kriyas( Cleansings), Breathing (Pranayamas), Meditation and Positive thinking. On the mental level it employs various techniques to relax and create positive state of mind. The Yoga Retreat Kerala program of Gods Own Country Ayurvedic Resorts is specially designed for the people who want to spend few days in peace to rejuvenate their lives. Relax, connect with nature and enjoy the calm presence of the tropical green gardens while deepening your yoga practice with Gods Own Country Ayurvedic Resorts which is located near Chowara Beach, One of the most beautiful beaches in Kerala. The ayurvedic resort is a quiet, safe and ideal place for a yoga retreat holiday. The Gods Own Country Ayurvedic Yoga Retreat Kerala is an amazing space with a peaceful energy and the perfect place to deepen and explore your yoga practice. Whether you are a beginner or an experienced yogi, you have your place among us. Whether you are a beginner or an experienced yogi, you have your place among us. Mornings enjoy the energetic and balanced flow of rhythmic sequence and in the afternoon, enjoy a slow experience, deep and meditative yoga. We will learn simple and effective tools to calm the mind and to lead a healthy life style through different procedures of yoga. Our certified and trained therapists will give special attention to each of your specific need. Our staff is friendly, helpful and there to make your yoga retreat Kerala holiday, a comfortable one. Our goal is to tailor our retreat holidays to suit our guests needs as much as possible. Gods Own Country yoga retreat Kerala also offers a range of ayurvedic treatment packages, in conjuction with therapeutic and restorative Yoga. For more information about yoga retreat mail us.